Have You Seen a Bed Scarf? Do You Know Its Purpose? If you've checked into a hotel recently, it's quite possible that you have seen a bed scarf — although you may not have known it was called that. A bed scarf is simply a piece of material draped over the foot of a bed. It may also be referred to as a partial coverlet. Why hotels and other places that cater to overnight guests have adopted bed scarves is another matter. The first time I noticed a bed scarf was in a cabin on a ship. Since space is tight in a stateroom, most passengers heave their suitcase on top of the bed to unpack. Functional rather than pretty, that ship's bed scarf was a strip of vinyl placed to protect the bedspread from being soiled by dirt that the wheels and bottom of luggage may have picked up during transit. Regardless of the material, do not use a bed scarf as clothing or as a cover for you. It is typically the dirtiest item on the bed and should be removed and put aside by you or a maid at turndown. So don't even think about using it to do an interpretive Dance of the Seven Veils! Not so long ago, hotels throughout the land covered their beds in bedspreads in prints, patterns, solids, chenille, quilts and other fabrics. Then they stopped, replacing them with solid-colored sheets, usually pure white, and topped those with a duvet and bed scarf. Cleanliness. One never knew how clean a bedspread was and how often it had been washed. The white sheets under a bed scarf are obvious. Pestilence. 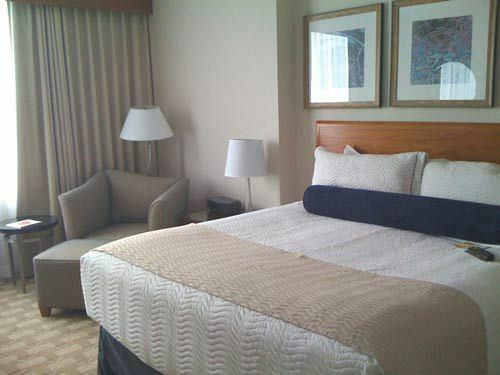 Many travelers are wary about sleeping in a bed not their own, especially when bed bugs are a concern. These nasty critters are adept at concealing themselves. Contrasted against white sheets, they're easier to detect. Aesthetics. Many bedspreads were ugly. Some were hideous. Even pretty ones looked passé after a while. Style. Just as men and women accessorize their clothing with scarves, dressing a bed in one adds flair to an otherwise dull-looking set of sheets. Economy. Instead of a hotel spending huge amounts on redecorating, rooms can be freshened up with a new coat of paint and a bed scarf that complements the color. An expensive bedspread with an obvious stain can no longer be used; a more-affordable bed scarf can be simply discarded and replaced. Novelty. Bed scarves can be easily switched and customized to match a color, display a logo, reflect the season, or work with another theme. These rectangles can be made out of everything from the most beautiful embroidered silk to the roughest and most durable polyester. Want to extend that we're-still-in-a-honeymoon-hotel feeling to home or protect your duvet or top bedding from being soiled? Consider changing your linens to all white or a solid color and topping it with a beautiful bed scarf that matches your bedroom décor.